Get a $100 Reward Card. Learn more. Plus taxes and Regional Sports Fee. For 12 months w/ 24-mo. agmt. Autopay & Paperless bill req’d. $189/mo. in months 13-24 (subject to change). Regional Sports Fee up to $8.49/mo. is extra & applies in select markets. * *$19.95 ACTIVATION, EARLY TERMINATION FEE OF $20/MO. FOR EACH MONTH REMAINING ON AGMT., EQUIPMENT NON-RETURN & ADD’L FEES APPLY. Price incl. PREMIER All Included Tv Pkg., monthly service and equip. fees for 1 HD DVR & is after $5/mo. autopay & paperless bill discount for 12 mo. Pay $115/mo. + taxes until discount starts w/in 3 bills (No autopay req'd for att.com orders only). New approved residential customers only (equipment lease req'd). Credit card req'd (except MA & PA). Rest's apply. The entertainment package to rule all entertainment packages, DIRECTV PREMIER delivers more than 330 channels directly to your home, with no equipment purchase necessary. Enjoy local channels, over 30 sports channels, and the ability to take DIRECTV anywhere you want to go with the DIRECTV app*. Plus, DIRECTV PREMIER includes all the most sought after premium channels, like STARZ, HBO, CINEMAX, and SHOWTIME. If your family is serious about keeping up on the latest movies, the hottest shows, and all the action of professional sports, then you definitely want DIRECTV PREMIER. *Content/channels/functionality varies. Data charges may apply. With CHOICE Package or above. Subscription renews automatically each season at then prevailing rate (currently $293.94/season) unless you call to cancel prior to the start of the season. Req’s you to select offer. ALL DIRECTV OFFERS REQUIRE 24-MO. AGREEMENT. EARLY TERMINATION FEE OF $20/MO. FOR EACH MONTH REMAINING ON AGMT., $19.95 ACTIVATION, EQUIPMENT NON-RETURN & ADD’L FEES APPLY. New approved residential customers only (equipment lease req'd). Credit card req'd (except MA & PA). Fall in love with DIRECTV All Included TV + Internet bundle, $150/mo. Plus taxes and Regional Sports Fee. For 12 Mo. w/ 24-mo. TV & 12-mo. Internet agmts & combined bill. Autopay & Paperless bill req’d. $229/mo. in months 13-24 (subject to change). Regional Sports Fee up to $8.49/mo. is extra & applies in select markets. * Incl Unlimited data allowance ($30 value) at no add’l charge.† *$19.95 ACTIVATION, EARLY TERMINATION FEES ($20/MO. FOR TV; $15/MO. FOR INTERNET) FOR EACH MONTH REMAINING ON AGMT., EQUIPMENT NON-RETURN & ADD’L FEES APPLY. Price incl. PREMIER TV Pkg., monthly service & equip. fees for 1 HD DVR and Wi-Fi Gateway & is after $5/mo. autopay & paperless bill discount for 12 mo. Pay $155/mo. + taxes until discount starts w/in 3 bills. New approved residential customers only (equipment lease req'd). Credit card req'd. Restr’s apply. Limited availability in select areas. May not be available in your area. Visit att.com to check service availability. Get a $100 AT&T Visa® Reward Card* when you sign up for DIRECTV! w/24-mo TV & 12-mo. agmt. Redemption req’d. See offer details. *Add’l fees & restrs apply. Reward Cards issued by U.S. Bank pursuant to license from Visa U.S.A. Inc.
$100 REWARD CARD FOR TV: Offer subj. to change and may be discontinued at any time. Requires purchase of qualifying TV package (min. $35/mo. for 12 mos. after Autopay/paperless bill discount that starts w/i 3 bills. Prices higher in 2nd year) through All Home Connections and card fulfillment. Qualifying Packages: SELECT or above, OPTIMO MAS or above, PREFERRED CHOICE bundle. For new residential customers in the U.S. (excludes Puerto Rico and U.S.V.I.). Residents of select multi-dwelling units are not eligible for this offer. Reward Card: Will be sent email or letter with redemption requirements. Redemption req’d. w/in 75 days from reward notification mail or email date. Reward Card delivered within 3-4 weeks after redemption to customers who maintain qualifying service from installation date and through reward fulfillment. Card expires at month-end 6 months after issuance. No cash access. For cardholder agreement, go to rewardcenter.att.com. AT&T Reward Card issued by U.S. Bank National Association, pursuant to license from Visa U.S.A. Inc. Ends 6/30/19. DIRECTV SVC TERMS: Subject to Equipment Lease & Customer Agreements. Must maintain a min. base TV pkg of $29.99/mo. Programming, pricing, terms and conditions subject to change at any time. Some offers may not be available through all channels and in select areas. Visit www.directv.com/legal or call for details. The DIRECT PREMIER entertainment package holds nothing back. You'll get everything you could ever want from a TV subscription, and then some. Relish in the unlimited choices over 330 channels will bring to you and your family. Local channels included in 99% of the U.S. The best in-home entertainment is from DIRECTV CINEMA®. Watch movies from the comfort of your home as early as a month before they're available on other movie rental providers. Stream movies to any device and take the big screen with you wherever you go. Hungry for even more movies? Check out DIRECTV On Demand to browse thousands of the latest drama, comedy, and action movies. Now it's possible to turn anytime into TV time. With the DIRECTV app,1 any spare moment is a chance to catch up on your favorite series. Download the app to your preferred device and get the same TV experience you get at home. You can even schedule your DVR to record shows right from the app so you never miss an episode. Transform your tablet, laptop, and smartphone into a TV. Finally, a DVR designed to handle the demands of a 21st century family. The Genie HD DVR from DIRECTV can record as many as five shows at once and store up to 200 hours of HD content.2 Enjoy whole-home connectivity and full DVR functionality when you connect as many as eight TVs to a single Genie HD DVR.3 Keep up with the entertainment needs of your family with DIRECTV's most advanced HD DVR. Dedication pays off. 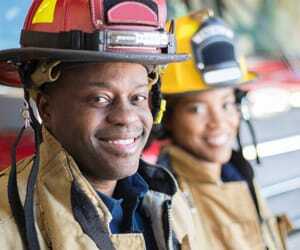 First responders, military, and veterans get 25% off each AT&T Unlimited &More line, plus additional savings on TV and Internet. * A special thanks from AT&T. FOR MILITARY DISCOUNT OFFER: Eligibility: Avail. to: (i) active U.S. military service personnel providing a valid military ID or current paystub; (ii) qualified U.S. military veterans providing either a Department of Defense Form DD214 indicating an honorable discharge, or a valid retired Military ID or current AMVETS membership card; and (iii) qualified spouses of active duty or deceased U.S. military service personnel providing a valid Department of Defense sponsorship card. Must provide proof of eligibility. Offer available only in select locations/channels. For internet or video credit, address on wireless bill must match address on video and/or internet bill and primary wireless account holder name must match that of eligible military member, qualified military veteran, or qualified spouse of active duty or deceased military service personnel. Customers accepting this offer certify they are permitted to under applicable law. Eligibility is subject to annual recertifications for Military discount offers. FIRST RESPONDER OFFER: Eligibility: Avail. to qualified active employees or volunteers of eligible state, local or private Primary First Responder agencies/entities (Law Enforcement, Fire, EMS, Emergency Management Agencies, and PSAP). Must provide proof of eligibility. Offer available only in select locations/channels. For internet or video credit, address on wireless bill must match address on video and/or internet bill. Customers accepting this offer certify they are permitted to under applicable law. Eligibility is subject to annual recertifications for First Responder offers. Federal agency employees, and employees/volunteers of agencies in MA, are not eligible. BOTH OFFERS: Exclusions: Offer may not be combined by customers: (i) receiving any free internet offer, (ii) receiving a $20 off internet promotion or (iii) receiving $25/mo. video loyalty credit. Other restr’s may apply. May not be combinable with other select offers or promotions. Credits/Discounts: Start w/in 3 bill cycles after service activation & eligibility confirmed. A one-time catch-up credit is applied for the time since customer met offer requirements to time video/internet credit begins, which does not change taxes. 25% off Wireless service discount: Req’s qualifying AT&T Unlimited &More plan. Discount applied after the application of any available Autopay, paperless bill or Multi-line discount. On AT&T Unlimited &More plan, for all data usage, AT&T may temporarily slow data speeds during times of network congestion. On AT&T Unlimited &More Premium plan, after 22GB of data usage on a line in a bill cycle, for the remainder of the cycle, AT&T may temporarily slow data speeds on that line during times of network congestion. For pricing and details of plans, see www.att.com/unlimited. $15 off Video service: Requires eligible satellite residential DIRECTV or U-verse TV or DIRECTV NOW packages (credit not applicable to DIRECTV NOW packages less than $40/mo.). Must have both qualified wireless plan (above) and eligible video services ordered on or before the promo ends to get $15/mo. credit. Customers receiving complimentary video service will not receive $15 video credit until the complimentary period has expired. $15 off Internet service: Requires eligible residential internet service. Must have both qualified wireless plan (above) and eligible internet service ordered on or before the promo ends to get $15/mo. credit. Limits: 1 credit per each eligible service. May not be stackable w/other oﬀers, credits or discounts. For Military and First Responder personnel with two or more qualifying video services, AT&T may select the account the credits apply towards. If you become ineligible or move from qualified services, you lose applicable discounts. AT&T reserves the right to discontinue this offer in select jurisdictions at any time in AT&T’s sole discretion. Offer is not being made as a solicitation of business from governmental agencies. Offers, programming, pricing, channels, terms & restr’s subject to change & may be modified or terminated at any time without notice. 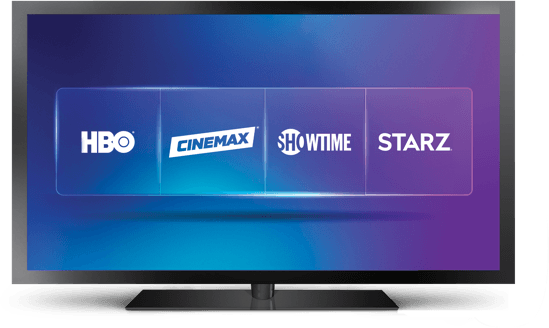 The premium channels you love, like HBO, SHOWTIME, CINEMAX, and STARZ, are included in your DIRECTV PREMIER subscription. Get hooked on the most talked-about HBO series, like Westworld, Girls, and Last Week Tonight with John Oliver. Jump over to SHOWTIME, CINEMAX, or STARZ to keep the excitement going with thousands of movies and dozens of original shows. Plus, your premium channels are available anytime, anywhere, with the DIRECTV app on your favorite device. * Just can't get enough HD action? 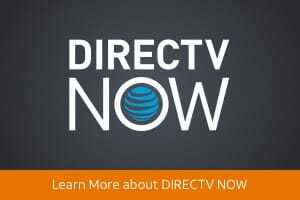 Add DIRECTV HD PACK for only $4.99 a month and get nine additional premium movie networks. True sports fans have always flocked to DIRECTV. That's because only DIRECTV can deliver 2019 NFL SUNDAY TICKET. Easily increase your sports coverage with add-ons like NBA League Pass, MLB EXTRA INNINGS®, and International Sports. Pay Per View and special sporting events can be ordered by text from your phone by simply texting “SPORTS” to 223-322 and following the prompts. Great sports entertainment is always just a click away with DIRECTV. Since TV is such a big part of our lives, it makes sense that you'd want to work with a company you can trust. DIRECTV is rated #1 in customer satisfaction compared to other major cable and satellite providers.1 DIRECTV makes it easy to customize your entertainment package to get exactly what you want. Add premium channels and sports packages for a carefully curated plan that perfectly meets your needs. With so much going for us, it's easy to see why every six seconds someone switches to DIRECTV.2. 1 Claim based on 2017 ACSI survey of customers rating their own TV provider's performance. 2 Based on gross subscriber additions from Q2 2016 – Q1 2017. Want Streaming-Only Service? Try DIRECTV NOW. Compatible device & browser req'd. Residential customers only. Avail. in the U.S. only (excludes Puerto Rico and U.S. Virgin Islands). Svc renews monthly (currently min. $35/mo. ), billed to payment method on file, until you cancel. Pricing, channels, features, and terms subject to change & may be modified or discontinued at any time without notice. Live Sports & Local Channels: Limited availability. Channels vary by package & billing region. Device may need to be in billing region in order to view. Cancellation: View, modify or cancel at any time at directvnow.com. Once canceled you can access DIRECTV NOW through the remaining monthly period. No refunds or credits for any partial-month periods or unwatched content. GENERAL: Limit 2 concurrent streams per account. [AT&T data coverage & svc not avail. everywhere.] Programming subject to blackout restrictions. Taxes may apply. 2018 NFL SUNDAY TICKET OFFER: Package consists of all live out-of-market NFL games (based on customer’s service address) broadcast on FOX and CBS. However, games broadcast by your local FOX or CBS affiliate, and select International games, will not be available in NFL SUNDAY TICKET. Games available via remote viewing based on device location. Other conditions apply. 2018 NFL SUNDAY TICKET regular full-season retail price is $293.94. 2018 NFL SUNDAY TICKET MAX regular full-season retail price is $395.94. Customers activating CHOICE Package or above or MÁS ULTRA Package or above will be eligible to receive the 2018 season of NFL SUNDAY TICKET at no additional cost and will receive a free upgrade to NFL SUNDAY TICKET MAX for the 2018 season. NFL SUNDAY TICKET subscription will renew automatically in 2019 and each season thereafter at the then prevailing rate (currently $293.94/season) unless you call to change or cancel by the date specified in your renewal notice. Up until the 2019 season starts, you can cancel anytime and receive any applicable refund. To renew NFL SUNDAY TICKET MAX, customer must call to upgrade after the 2018 season. Subscription cannot be canceled (in part or in whole) after the start of the season and subscription fee cannot be refunded. Only one game may be accessed remotely at any given time. Compatible device/operating system required for online/mobile access. Additional data charges may apply. Visit directv.com/nfl for a list of compatible devices/system requirements. Short Cuts are available from midnight Sunday ET through midnight Wednesday ET via the NFL SUNDAY TICKET App. For full Mix Channel and interactive functionality, HD equipment model H/HR 21 or later is required. PREMIER ALL INCLUDED PACKAGE: Ends 6/30/19. Available only in the U.S. (excludes Puerto Rico and U.S.V.I.). 1st & 2nd year Pricing: $110/mo for first 12 mos. only. After 12 mos. or loss of eligibility, then prevailing rate applies (currently $189/mo. ), unless cancelled or changed prior to end of the promo period. Pricing subject to change. $5/mo. discount: Must enroll in autopay & paperless bill within 30 days of TV activation to receive bill credit starting in 1-3 bill cycles. First time credit will include all credits earned since meeting offer requirements. Must maintain autopay/paperless bill and valid email address to continue credits. No credits in 2nd year for autopay & paperless bill. Includes: PREMIER All-Included TV Pkg., monthly service and equipment fees for one Genie HD DVR, and standard pro installation. Exclusions: Price excludes Regional Sports Fee of up to $8.49/mo. (which is extra & applies in select markets to CHOICE and/or MÁS ULTRA and higher Pkgs. ), applicable use tax expense surcharge on retail value of installation, custom installation, equipment upgrades/add-ons (min. $99 one-time & $7/mo. monthly fees for each extra receiver/DIRECTV Ready TV/Device), and certain other add'l fees & charges. Different offers may apply for eligible multi-dwelling unit customers. $150 1-YR BUNDLE PRICE: Ends 6/30/19. 1st & 2nd year Pricing: $150/mo for first 12 mos. only. After 12 mos. or loss of eligibility, then prevailing rate applies (currently $229/mo. ), unless cancelled or changed prior to end of the promo period. Must maintain all qualifying services and service addresses must match to receive advertised pricing. Pricing subject to change. $5/mo. discount: Must enroll in autopay & paperless bill within 30 days of TV activation to receive bill credit starting in 1-3 bill cycles. First time credit will include all credits earned since meeting offer requirements. Must maintain autopay/paperless bill and valid email address to continue credits. No credits in 2nd year for autopay. Includes: PREMIER All-Included TV Pkg., Internet speed tiers (10M to 100M), monthly service and equipment fees for one Genie HD DVR, monthly fees for a Wi-Fi Gateway, and standard pro installation. Exclusions: Price excludes Regional Sports Fee of up to $8.49/mo. (which is extra & applies in select markets to CHOICE and/or MÁS ULTRA and higher Pkgs. ), applicable use tax expense surcharge on retail value of installation, custom installation, equipment upgrades/add-ons (min. $99 one-time & $7/mo. monthly fees for each extra receiver/DIRECTV Ready TV/Device), and certain other add'l fees & charges. Different offers may apply for eligible multi-dwelling unit customers. DIRECTV SVC TERMS: Subject to Equipment Lease & Customer Agreements. Must maintain a min. base TV pkg of $29.99/mo. Some offers may not be available through all channels and in select areas. Programming, pricing, terms and conditions subject to change at any time. Visit directv.com/legal or call for details. Live streaming and Video on Demand channels may vary by TV package, viewing location and device. Additional charges may apply for new releases. Out-of-home viewing requires high-speed connection. Additional features/channels may be available for in-home live-streaming when connected to an HD DVR with high-speed data connection. All functions and programming subject to change at any time. Visit directv.com/streamdirectv for a list of compatible devices (sold separately) and details. Requires one TV is connected to a Genie HD DVR (model HR34 or higher), a Wireless Genie Mini (model C41W Client or higher) and power source in each additional room, and a Wireless Video Bridge. Limit of three remote viewings per Genie HD DVR at a time. Wireless is not available on the television which is connected to the Genie HD DVR. Actual range of wireless signal varies and may be affected by several factors including, but not limited to: home construction materials, obstructions, electromagnetic interference and other environmental factors. For residential use in a single household only. Additional fees apply. Visit directv.com/technology/genie for complete details. Standard text message & data rates apply when ordering by text an additional $5 charge applies for an operator-assisted order. Purchases via remote control will only be accessible on the TV and will not be accessible on any other device. To order Pay Per View programming with your remote control, all the DIRECTV receivers must be continually connected to the same landline and/or the Internet. To order Pay Per View programming, a DIRECTV subscription is required. DIRECTV CINEMA purchases are nonrefundable. Moves expire 48-72 hours after purchase. Programming, pricing, terms and conditions subject to change at any time. Pricing residential. Taxes not included. By providing your email address, you hereby consent to receiving emails from ATTSavings.com. *Geographic and service restrictions apply to AT&T services. Call to see if you qualify. Fiber optics may apply to all or part of the network, depending on your location. © 2019 AT&T Intellectual Property. AT&T, the AT&T logo and all other AT&T marks contained herein are trademarks of AT&T Intellectual Property and/or AT&T affiliated companies. All rights reserved. Subsidiaries and affiliates of AT&T Inc. provide products and services under the AT&T brand.